SCVHistory.com | Soledad Canyon | Florence Merriam Bailey's California Journal, 1907, Incl. Saugus and Soledad Canyon. Florence Merriam Bailey's California Journal. Including the Saugus area and Soledad Canyon. 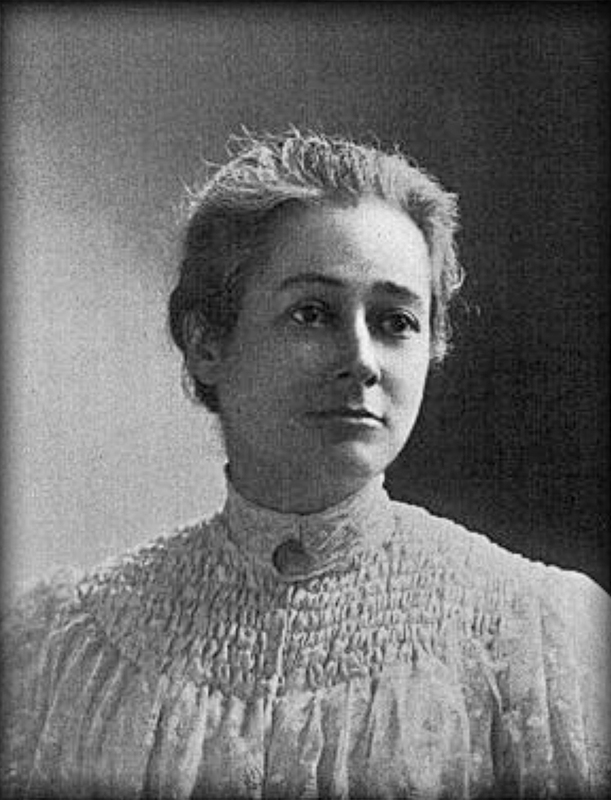 Florence Augusta Merriam Bailey (1863-1948), younger sister of ethnographer-naturalist C. Hart Merriam, was an ornathologist who authored the first modern field guide to birds in 1890. A New Yorker, she traveled extensively throughout the West with her husband, Vernon Orlando Bailey (1864-1942), who worked under C. Hart Merriam as Chief Field Naturalist for the Bureau of Biological Survey, which became the U.S. Fish and Wildlife Service. Here, Florence chronicles her observations on a trip primarily through California from September 20 - November 29, 1907. Places include Pasadena, Mt. Lowe, Venice, Catalina, San Fernando Valley, Saugus and Soledad Canyon, Santa Barbara, San Francisco, Red Bluff, Scout's Bluff and Glenwood in California; as well as Portland, Oregon, and Tacoma, Washington. She devotes one page (pdf page 32) to Saugus and Soledad Canyon, which the couple visited October 30-31, 1907. They traveled by train north through the San Fernando Tunnel and reached Newhall, which she misidentifies as Nordhoff. She informs us that the road north out of the San Fernando Mission was designated "El Camino Real" in 1906, making it one of the first to be marked. (The bells went up from 1906-1914. There was no single "El Camino Real" during the mission period; it is a modern construct.) Also, there was no daylight train through Soledad Canyon to the Mojave Desert. In either Soledad or San Francisquito Canyon the Baileys encountered a woman, perhaps a seamstress, evidently living with her children in a "campus wagon," which Florence describes as having a "square frame covered with tattered cloth." We crossed the old road between the missions and saw a bell put up by [blank] marked "El Camino Real 1769-1906," the road here connecting Santa Barbara, San Fernando, Los Angeles, Capistrano & San Diego missions. We drove up [?] a gulch leading up into the Santa Monicas and climbed up on the road leading across to Hollywood. (Oct. 30th) Left Fernando about 8 a.m. (train late). It went up thru a tunnel to Nordhoff [sic: Newhall] where the English sparrow has come in its way south, and up to Soledad, where, as there is no daylight train thru the pass to the Mojave Desert, Vernon drove as far as he could to determine the zone of the pass, finding it upper Sonoran — sagebrush, atriplex, oaks, etc. (31st) From Fernando we went to Saugus where we drove up the Francisquito and Soledad Canyon. On the road we met a campus wagon with a square frame covered with tattered cloth — inside a woman & children walking around — & a sewing machine standing.